The Los Olivos Community is located in the Centre of la Manga Club directly opposite the Tennis Academy. Most amenities of La Manga Club Resort are within easy walking distance with bars and restaurants very close by. This stunning three bedroom apartment is beautifully presented and furnished to a very high standard. The Master bedroom has an en suite bathroom and there is an additional guest bathroom to service the further two guest bedrooms. There is direct access to the south west facing patios and the apartment is fully air conditioned. 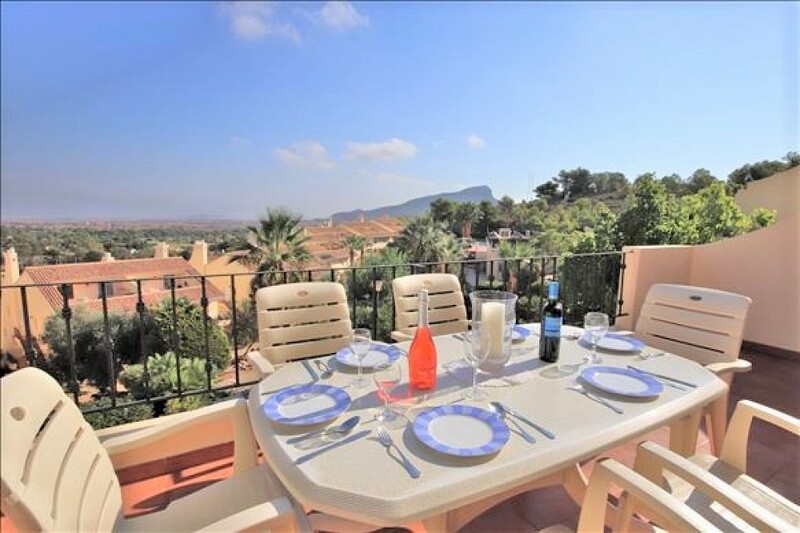 The Barbeque Terrace has wonderful views to the Mar Menor and is fitted with a built in Barbeque and a large storage room. Parking is directly outside the property with very easy access. The community enjoys two outdoor swimming pools and an Indoor heated swimming pool together with a Jacuzzi and Owners Gymnasium.